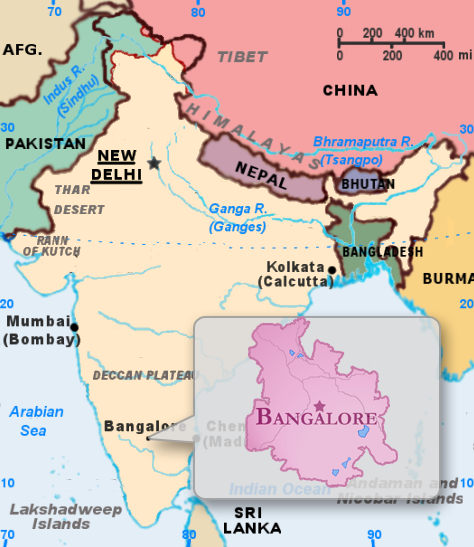 Bangalore is the capital of Karnataka, which is a city in southern India. Once called Bengaluru, Bangalore enjoys a wholesome climate. The city is always alive with people and activities featuring a colorful mixture of various customs and practices of the past and present. There are numerous places to visit in Bangalore which can boast being one of India’s largest cities; it was once regarded as a Pensioner’s Paradise before the IT revolution. Now it is known by many different names, such as the Pub Capital of India, Air Conditioned City, City of Gardens and the Silicon Valley of India. Ulsoor Lake or Halasuru can be found near M.G. Road in the central region of Bangalore. The lake was established to collect rainwater. It stretches over 125 acres. Both the lake and its surrounding area are a serene spot enhanced by the presence of the sacred Sri Guru Singh Sabha Gurudwara on its edge. Local lore states that Kempe Gowda was visited by God Somesvara in a dream. The god then blessed with treasure. To show his gratitude, Kempe Gowda built a pagoda in the god’s honor. Visitors to Ulsoor Lake usually enjoy boat cruises which travel to surrounding islands where several varieties of birds, insects and flowers can be seen. The ISKCON Temple Complex in Bangalore is the largest temple of the 350 temples built by the international society. It is in dedication to Lord Krishna. It was established in 1977 and can be found on a hillock offering an expansive and cultural view of the city. The building is done in an eclectic mix of Dravidian and neo-classical style, featuring four magnificent towers or gopurams. The roof is embellished with lavish paintings illustrating the life of Krishna. A large prayer hall holds 2,000 visitors at one time with several pujas and kirtans carried out throughout the day. The building is also home to a museum, book trust and a souvenir shop. The Bangalore Palace is definitely a must see on your visit to the capital city. It is located in the northern part of Bangalore on over 450 acres of prime land. The palace was constructed of stone to create a beautiful façade. Beginning in 1862, construction was finally completed in 1944. It was actually bought by the Maharaja in 1884. Visitors to the palace will be free to explore the large garden which boasts several species of trees. Art enthusiasts are sure to enjoy the collection of paintings totaling almost 30000. A tour of the palace is done with audio recordings of sound clips which spin a detailed tale of history and culture. One of the places to visit in Bangalore is the Innovative Film City. The Film City is so pack full of entertainment that it has been equated with the Disneyland of U.S. It is actually on the outskirts of Bangalore, being 40 km away. It is spread over 50 acres of land on which it offers something fun and interesting for everyone in the family. The wide range of activities include Ripley’s Believe It or Not, the Teddy Museum, Haunted Mansion, Louis Tussaud’s Wax Museum, Bungee Jumping, Mini Golf, etc. Several different options for trying different cuisines and buying local handicraft are spread throughout Film City. Although it was established in the 19th century, Cubbon Park remains a rich oasis of entertainment and culture in the center of Bangalore city. It encompasses over 300 acres of lush bamboo and floral gardens along with several buildings of major significance. These include Kanartaka’s High Court and the Seshadri Iyer Memorial Hall which is the present Central Library. These buildings are accentuated with picturesque marble statues such as of General Sir Mark Cubbon and Sir K. Seshadri Iyer. Children can find much to see and do at the Jawahar Bal Bhavan which is a children’s center featuring a boat ride on a peaceful canal and a toy train. Other places of interest interspersed within the Park are the doll museum, a historic band stand and the Sir M Visweshwaraiah Science Museum. The long established hill fortress of Nandi Hills, otherwise called Nandidurg is located about 60 km outside of Bangalore. Its amazing vantage point, variety of flora and fauna and lush evergreen forests, make this a choice picnic and lounging area for many visitors and locals alike. The hills are bejeweled with some historically significant buildings such as the fort which was built by Tipu Sultan, the Shiva and Parvati Temple, the Gandhi Center and the Nandi Temple, which was built over 1300 years ago in Dravidian architecture. The Tipu Drop is another structure featured on the hills from where it is said prisoners used to be dropped to their death as a form of punishment. The Vidana Soudha is one of the most profound historical landmarks in Bangalore. It was built in 1954, a magnificent display of neo-Dravidian architecture. Its four massive domes in the day time are as stunning as they are in the nighttime when the building is fully illuminated. The Vidana Soudha, in its enormity, is home to the Legislative Chamber of Karnataka Government. Along with the legislative body, this is where several other departments of government can be found. It is surrounded by meticulously maintained gardens and lawns which makes it as much a place of leisure as it is a center of leadership, as well as one of the most famous places to visit in Bangalore. As captivating and beautiful as the rose, the Lalbagh Botanical Garden has been a sanctuary in Banagalore for a vast array of plants since the 17th century. The garden’s collection includes over 200 species of flowers such as the Lal bagh rose which blooms throughout the entire year, vegetables and tropical and sub-tropical trees. Set in the center of the garden like an ornate jewel is a glasshouse which was constructed in the style of the Crystal Palace in London in 1889. The Lalbagh Garden is the place to visit during special celebrations in Banagalore such as Republic Day and India’s Independence Day where it is even more beautifully decorated and all the plant life are on special display. The Attara Kacheri is a two-story building painted in attractive red. It was built in 1867 during the rule of Tipu Sultan. It boasts Corinthian columns and a Gothic façade. The building is strategically located at the entrance to the beautiful and entertaining Cubbon Park and is home to the high court and several lower courts. Its closest neighbors are the State Central Library, the Government Museum and the Venkatappa Art Gallery which houses a collection of famous paintings, works in plaster of Paris and wooden sculptures from the famous artist, Venkatappa. Server responsed at: 04/23/2019 10:21 p.m.